Interior Minister Chaudary Nisar Ali Khan has condemned the United Arab Emirates statement and termed it unacceptable, ironic and violation of all diplomatic norms. 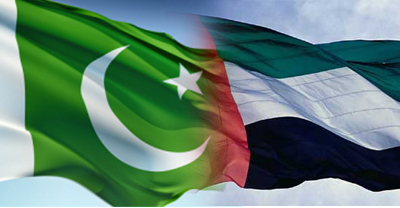 On Saturday, UAE Foreign Minister Anwar Gargash accused Pakistan for remaining neutral in Yemen conflict and accusing Pakistan for favoring Iran against Gulf countries and supporting Houthi rebels. He termed this decision “contradictory, dangerous and unexpected”. Pakistan has to pay high cost for this decision, he added in the statement. Chaudary Nisar, interior minister of Pakistan said that Pakistani nation is honorable nation and knows well how to restore it. Pakistan has brotherly relationships with both Saudi Arabia and UAE but such threatening remarks aren’t acceptable and would not be tolerated. He said Pakistan was the first country to recognise UAE's independence in 1971 and the two Sunni Muslim-majority countries have close economic relations as 1.4 million Pakistanis workers work in Gulf countries. Meanwhile, Chairman of the Arab Parliament in the Arab league Ahmad Bin Mohammad Al Jarwan also uttered his disappoint on the decision of the Parliament of remaining neutral in the war and not providing ground or air support for the war-stricken Arab state.